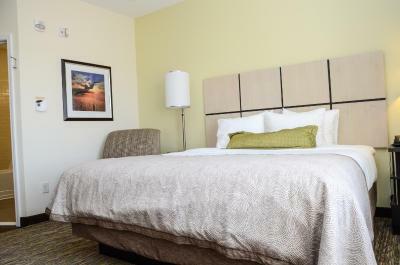 Lock in a great price for Candlewood Suites Greeley – rated 8.8 by recent guests! Nice size room, clean and comfortable! Great place if you’re staying for business or an extended time. Large desk and kitchen area. The room was spacious, clean, and quiet. The bed and pillows were great. The bathroom was roomy and well-appointed. The air conditioner was unobtrusive. I especially liked the small island table where I could sit for my meal. I was impressed that the room had a small kitchen. Staff and facility were wonderful! Convenient to everything we did! Will stay there on all of our trips to Greeley to visit family! The coffee was wonderful! Facility to wash clothes was so nice to have! Outstanding! Would recommend to all family and friends! We had a staycation while our new carpet was being installed. The staff was great and the room was wonderful. This was our first visit to the Candlewood Suites, but it won't be our last. We really enjoyed ourselves! 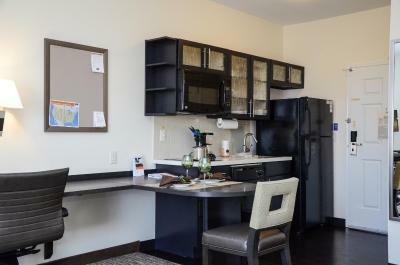 Candlewood Suites Greeley This rating is a reflection of how the property compares to the industry standard when it comes to price, facilities and services available. It's based on a self-evaluation by the property. Use this rating to help choose your stay! Located 5 miles from University of Northern Colorado, this Greeley, Colorado hotel offers accommodations with fully equipped kitchens. Styled cream colored linens, each studio provides cable TV, a desk and an private bathroom. Modern décor and dark wood furnishings are featured. A 24-hour reception welcomes guests to Greeley Candlewood Suites. Barbecue facilities are also onsite. Rocky Mountain National Park is 40 minutes’ drive away. Denver International Airport and Downtown Denver, Colorado is 1 hours’ drive away from Candlewood Suites Greeley. When would you like to stay at Candlewood Suites Greeley? Styled cream colored linens, this room provides a fully equipped kitchen, cable TV, a desk and an private bathroom. Free! Free public parking is available on site (reservation is needed). 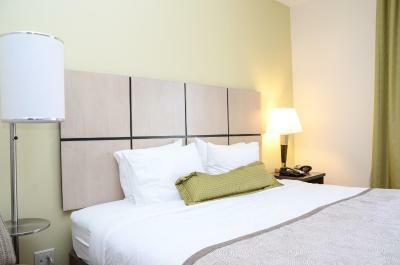 Styled cream colored linens, this studio provides a fully equipped kitchen, cable TV, a desk and an private bathroom. 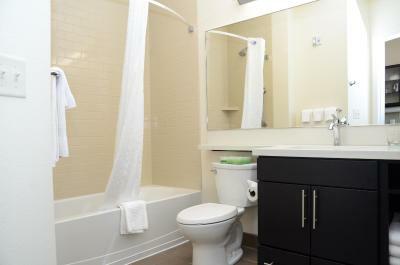 Additional amenities include wheelchair accessible toilet with grab bars, a handheld shower and a grab bars in the shower. Styled cream colored linens, this suite provides a fully equipped kitchen, cable TV, a desk and an private bathroom. Styled cream colored linens, this one-bedroom suite provides a fully equipped kitchen, cable TV, a desk and an private bathroom. 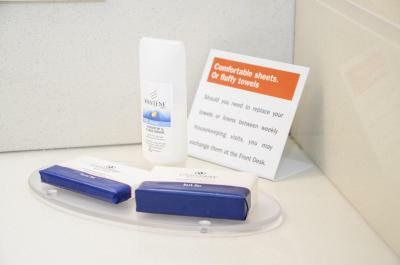 House Rules Candlewood Suites Greeley takes special requests – add in the next step! Free! One child under 19 years stays free of charge when using existing beds. Candlewood Suites Greeley accepts these cards and reserves the right to temporarily hold an amount prior to arrival. Booked two beds and only had a room with one. Worst consumer service. Not happy! Your pet fee is a bit steep, so although we had a great stay we won't be staying again. My keycard was disabled earlier than I was ready to check out. Should not disable the keycard until checkout time, guests can get locked out while out getting coffee. I didn't realize a breakfast was not included but there was a small store with complementary coffee, fruit, and a pastry so no worries. Each evening the refrigerator would get noisy but we learned to turn it off and then back on and it was quiet the rest of the night! No big deal after we learned how to deal with it! There wasn’t anything I didn’t like about it.. I loved it. !